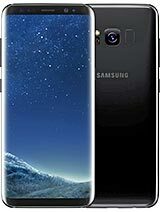 is this a good phone ? what is it best 4 ? I will buy my highschool brother a phone is this phone suit to him? Is samsung champ is easy to use? how about the internet access? its so cut,,so handy and the features are good.hope 2 fina a CHAMP but Dual sim coz i am more interested 2 find Champ dual than DUOS..champs look is amazing. It is OK to buy this if you want a touch phone just for calling, texting and music purposes. If you want a gaming phone, then don't get this. Buy an android phone if you want lots of game and WiFi connection. my phone always saves my sms on sim memory..
does anyone know how can i use my phone memory as default for saving my sms?